Buyback can be a tense time for everyone, so why not switch gears and make it a little more fun? 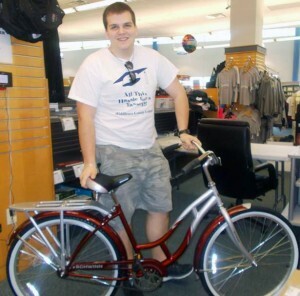 The Blue Colt Bookstore did just that when they decided to offer their students a chance to win one of eight retro-styled bicycles, just for coming in and selling back their textbooks. Inspired by the “Get Green” theme from their MBS marketing materials, the staff and students at the bookstore brainstormed to come up with the perfect prize. In keeping with the theme, they wanted to choose something earth-friendly that other students would want to win. They decided on bicycles, and the “Retro Bicycle Buyback” contest was born. Director Karen Katt and her staff got the wheels spinning by ordering eight bicycles from an online vendor, and assembling two of them for display. They put one in the store’s front window, prominently featured with signage about the giveaway. The other was placed in the College Center, where it attracted a lot of attention. Even though they weren’t eligible to win the bicycles, Katt said that her staff participated “100 percent” in the contest, from promoting it through word-of-mouth at the register and on the sales floor, to posting about it online. In addition to posting on Facebook, Katt also advertised on the school’s online bulletin board, and featured the contest on the “Retro Music Hour” on Blue Colt Radio, the college’s radio station, which is on the air for 24 hours, six days a week. Students were able to enter once a day, during the store’s buyback session of May 1 – 9. To add to the retro flavor, the staff handed out striped candy sticks to the students waiting to sell back books. At the end of the week, eight winners were selected randomly from the entries, which numbered well over a thousand. The contest was a big success, judging both from the amount of entries they received, student feedback and the results of their buyback numbers. 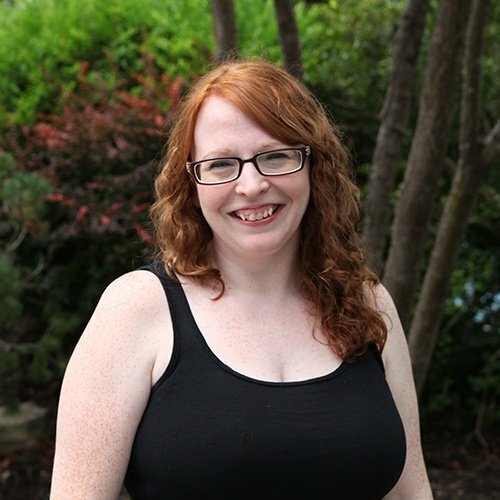 Katt feels that it’s important to organize something for each of the store’s buyback sessions, whether it’s simply handing out ice cream treats as the students wait in line, or giving them a chance to win a brand new set of wheels.